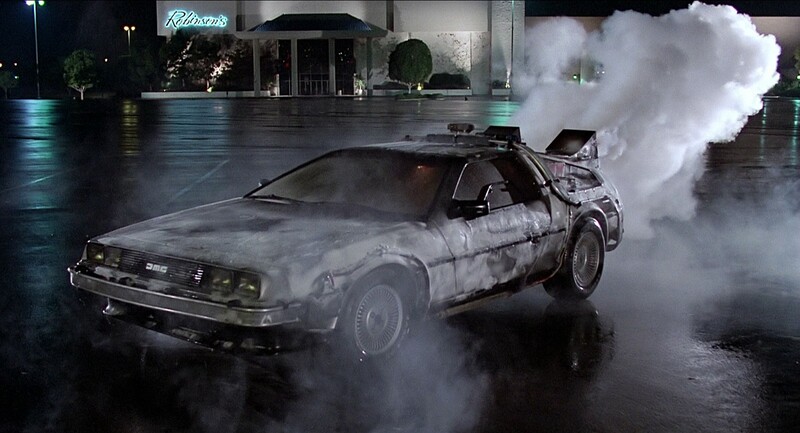 The future is here: have you got insurance for that? Things are changing fast, with the older end of Gen-y now contributing to society, their values have begun to impact the way we do life and what we expect from service providers. As a result pioneering insurance companies have responded to these new opportunities promising a more transparent relationship with faster, fairer and more personalised offerings. Backstage, insurers have harnessed the power of previously documented claims using machine learning, image mapping and Ai to reward safe customers and evaluate claims more effectively. In addition, insurers are partnering with other service providers such as IOT sensor companies to prevent and guard customers against the dangerous unknowns like: terrorism, leaks, dangerous driving etc. 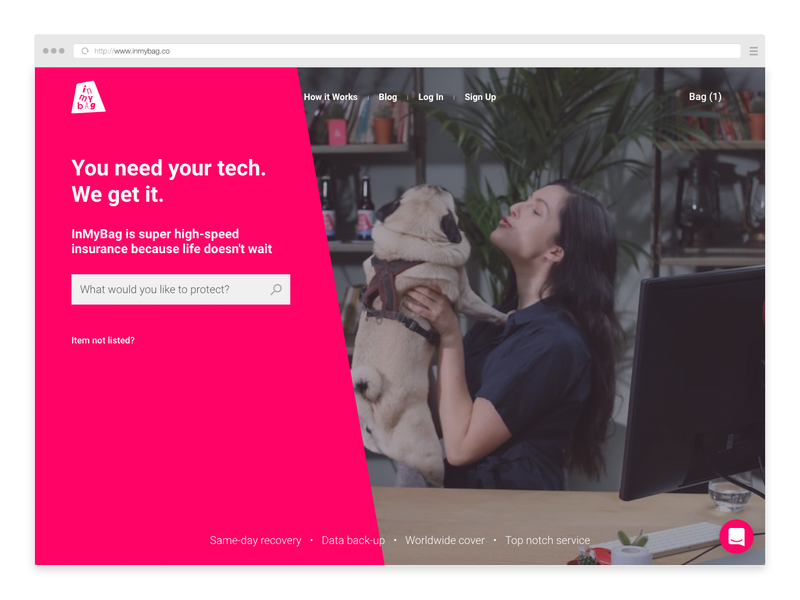 To understand more about how insurers are catering for generation-Y’s new behaviours, we zoomed in on 10 challenger companies. 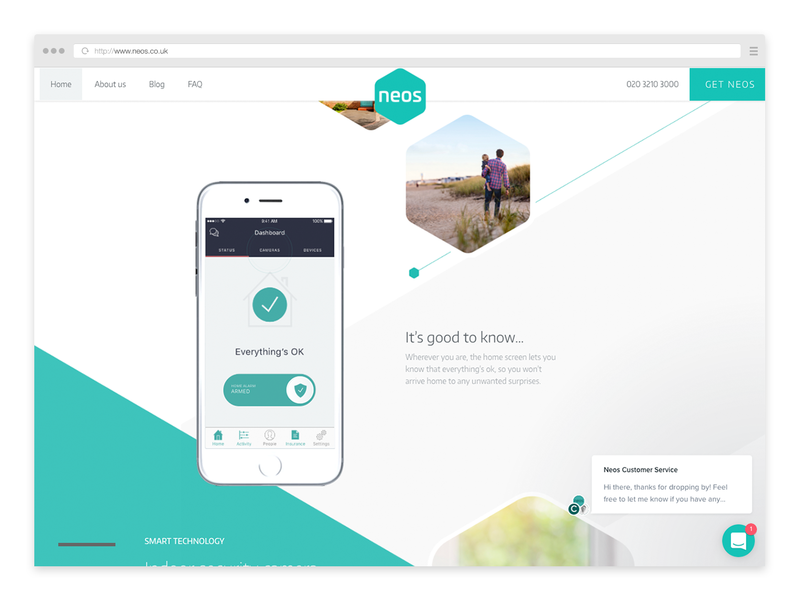 Neos offers home insurance with preventative smart technology and around the clock support. Their army of IOT sensors include: security cameras, motion sensors and water/smoke detectors which monitor your home when you are not there. Similar to the ‘Sky box,’ the rental of these sensors are included in various tears of insurance coverage: ‘good, better, best’ –simple. Their 24/7 assistance is a great example of the growing awareness that insurers can offer more value by partnering up with complimentary services such as plumbers, exterminators, and electricians- who in this case make use of Neo’s early warning system. Lemonade has identified some of the biggest pains consumers face when choosing insurance: a lack of trust in traditional insurers business models that benefit from rejecting your claims and lengthy pay out processes. Lemonade‘s ‘refreshing’ antidote comes armed with a transparent, instant and jargon free solution: taking a flat service fee on each of your monthly instalments. 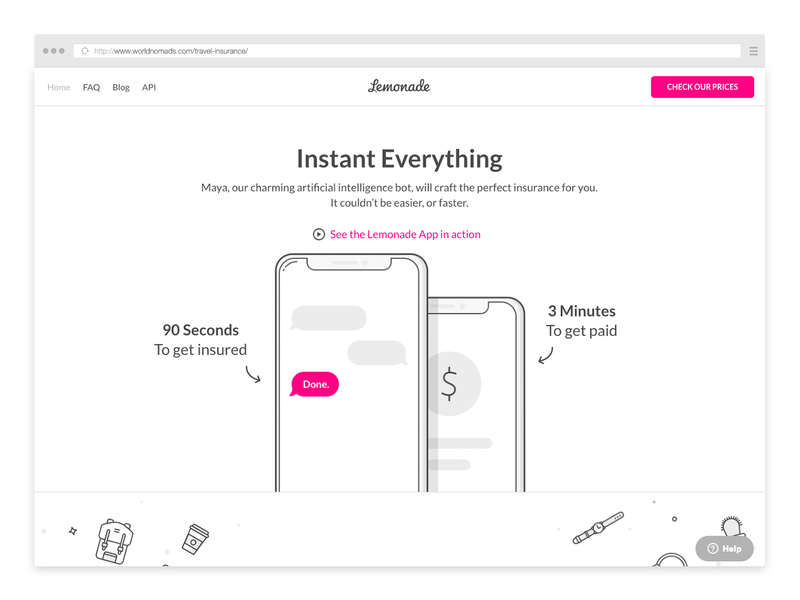 Powered by bots and machinery (rather than brokers and stocks) lemonade offers a 24/7 chat bot (Maria) to get the best plan and make claims. This is a great example disruption through ‘alternative values’ upon which a transparent business model and technology has been holistically applied. The ability to measure exact usage of anything through sensors has given rise to ‘usage based’ insurance models. Snapshot car insurance is one such company. By recording the drivers behaviour, Snapshot not only reduces the cost of insurance for safe drivers but inherently builds a more trusted relationship with their customers through a shared analytics dashboard. 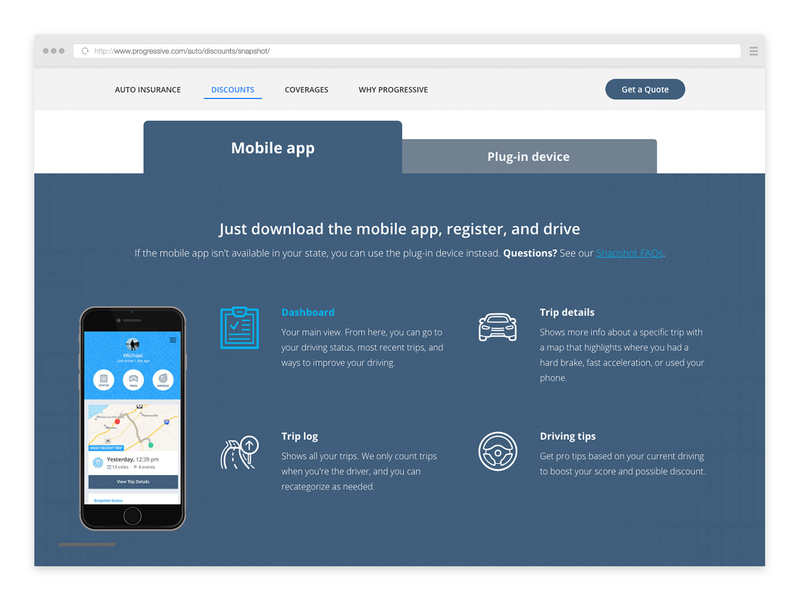 This mobile and desktop interface allows the customer to see how their driving behaviours are impacting their insurance rates with additional driving tips and even sound warnings to prevent damage otherwise unknowingly incurred. This holistic insurance model promotes: prevention, rewards and transparency between the insurer and its customer in one package -boom. 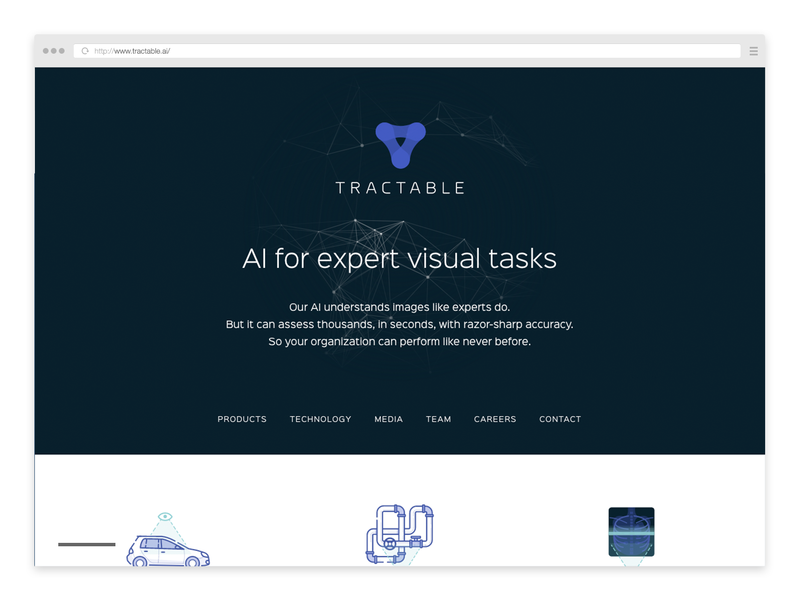 Tractable’s auto insurance employs artificial intelligence to evaluate the cost of your motor claim. How? –by sending them a picture of your damaged part. Tractable’s nifty algorithm then trawls through the vast amount of claim images and quotes now documented, to estimate and accurately judge the cost of repair. The benefits of such a service not only gives accurate quotes which in turn set reasonable customer expectations, but spends the time (saved from a speedy diagnosis) on triangulating all the other stakeholders needed to get you back on the road. Further applications of this technology are being used in tractable’s preventative maintenance service which tracks the condition of automotive parts during audits. Given that insurance works on a model of pooling assets its a suprise that Peer-to-peer insurance models are only just coming to the fore. 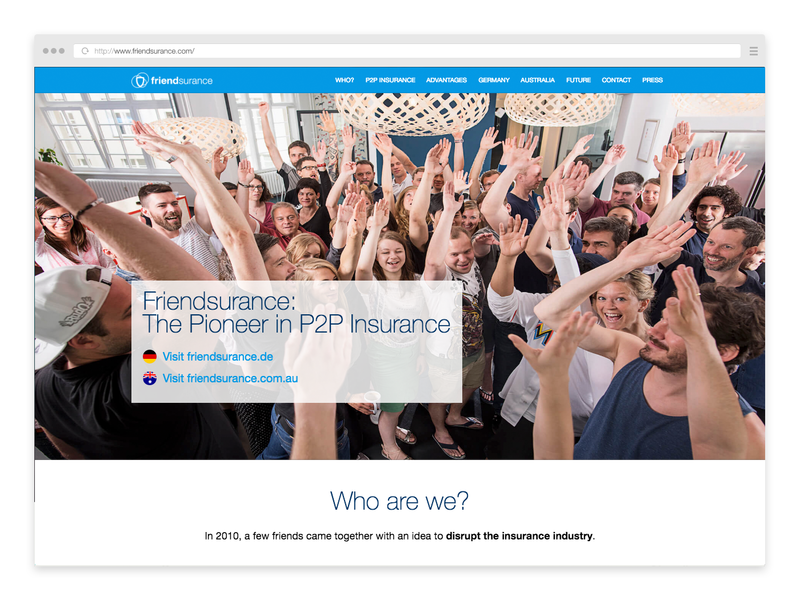 Friendsurance allows friends to pool their insurance contracts to save money and afford for the rising ‘sharing economy’ –something Gen-Y have proved to particularly value. However, given that this is still a relatively new behaviour we are still seeing how ‘insuring shared assets’ can be meaningful and financially viable, which Friendsurance have found to be: shared bikes, apartments and cars. As future applications and scenarios of the shared economy continue to evolve companies like Freindsurance have the capacity to change the way we perceive insurance moving from a secretive personal service to a shared responsibility. Having said that, one of the most challenging counter trends to the shared economy is Gen-y’s transient and unpredictable lifestyle resulting in many addresses, jobs and countries. So the question remains: will customers who value ‘sharing’ stick around long enough and keep the same assets to commit to shared contracts? Traditionally customers would pledge their loyalty to one insurer, feeling that they have to make enough payments in order for any future claims to be accepted. 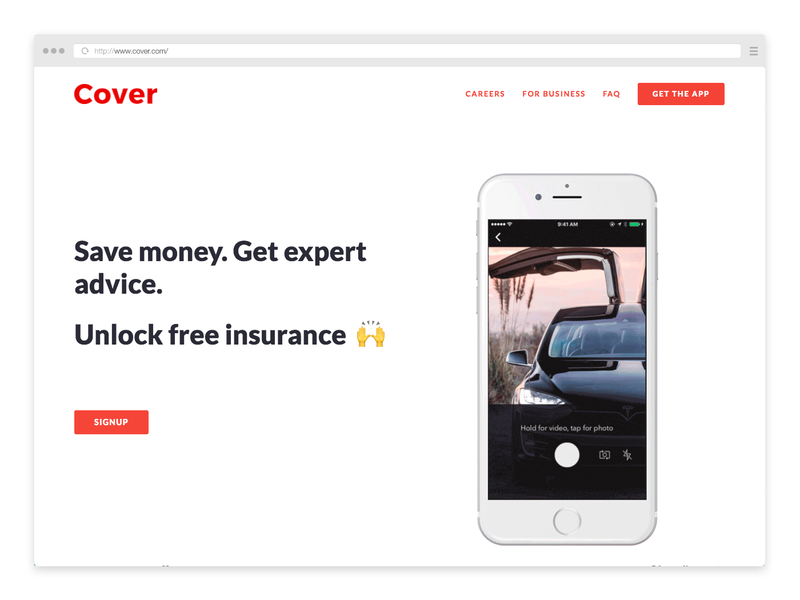 Cover, removes the long arduous on boarding process by providing insurance when you need it — as you buy. 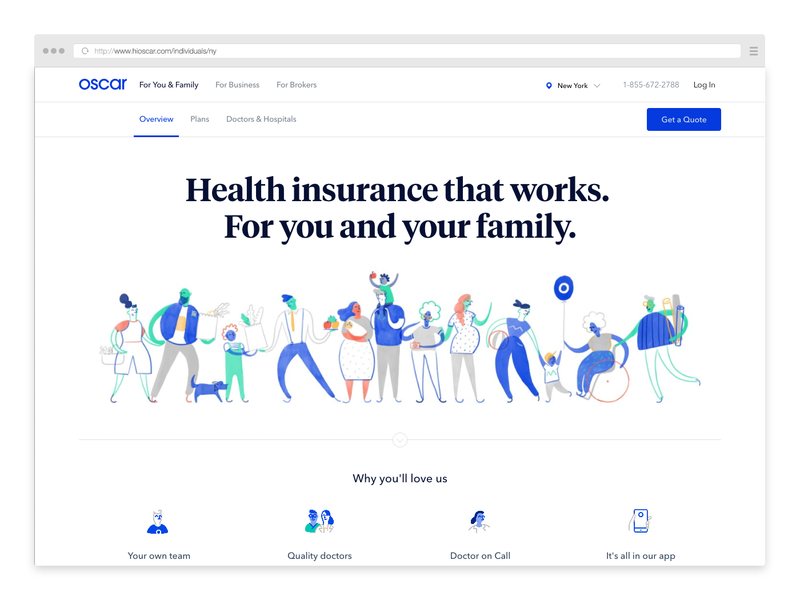 This pull rather than push approach allows the customer to insure when their need is at its greatest, in context, to one place and within a familiar user interface — Insure as you go. Another great example of insurances responding to the sharing economy...but on demand. 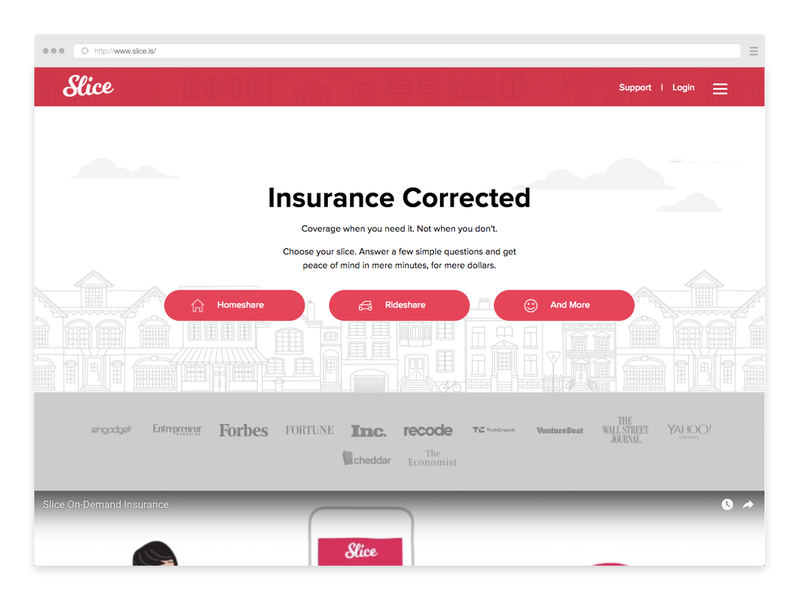 Slice realises people usually share for convenience, so insuring shared cars and homes has to be ‘instant’ — and only when you need it. Similar to our archaic ‘information laws,’ the protection for shared assets is still catching up with our new behaviours — so slice clearly communicates and covers all the legal risks to sharing your assets. These include; shared legal liability, loss of income and damage etc. So if your renting your home on Air B&B or driving friends around on holiday you can socialise with ‘piece’ of mind. Globalisation has given us many perks, we can meet with clients and colleagues across the world all within a single working day. However political unrest and wars against terrorism in many countries have only amplified the safety risks that come with traveling aboard. 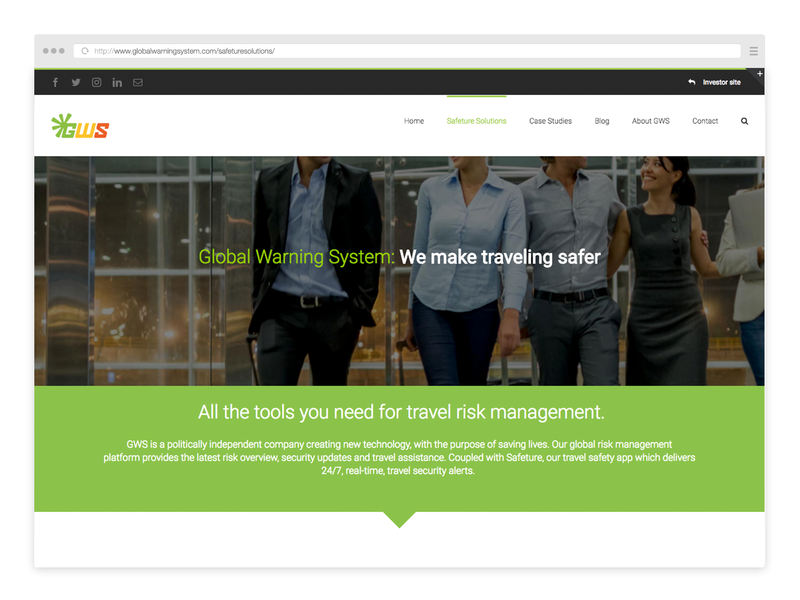 Safeture seeks to prevent the impact of these threats with a smart travel insurance package designed to keep employees safe when they travel. Such features include: location GPS tracking, a local news feed which alerts you to dangerous situations in your area and language, and of course the ability to make SOS calls to your local emergency number. Unlike the various chatbots promising instant claim and quotes 24/7 — Oscar provides the same around the clock care but with a real team experts called the concierge team. Having understood that customers romanticise the days they had their own ‘family’ doctor and advisors (a key driver to use private healthcare), Oscar can guarantee that the person on the other end of the phone knows you and your policy.. and even better, you know them! Within your concierge team, each customer has their own medical nurse, the ability to choose your own doctor and a policy expert there for any changes life might throw at you 24/7. Travellers are spontaneous by nature, so no routines in unfamiliar environments are a recipe for disaster for transient individuals and adventurous family. 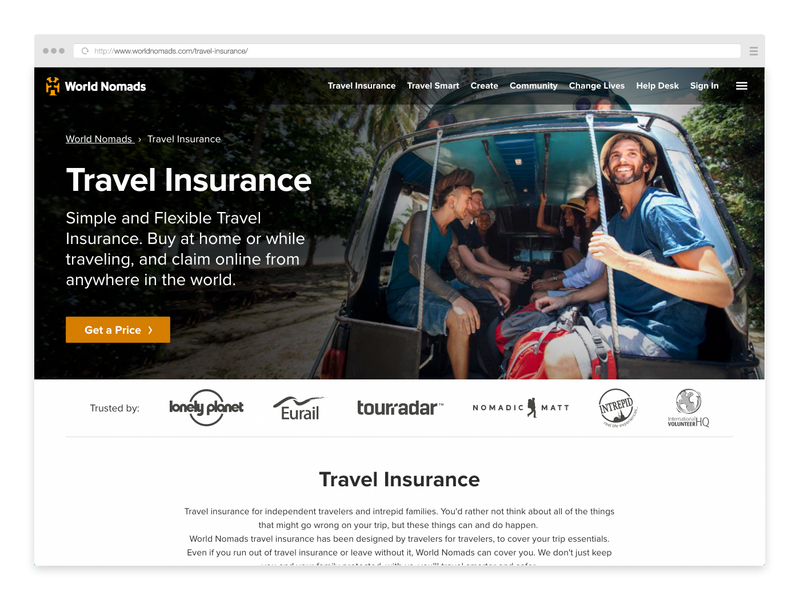 But no fear, World nomads have developed a business model for that regardless of wether you have; run out of travel insurance, leave without it or make a claim from Nauru (country). World nomads will transport you to the right medical facility and cover for crazy adventure activities from WWOOFing to Aerial Safari. Their list makes good reading for those prone to boredom. Once typing in the name of your object (assuming its searchable and available on the market) you can insure it on a monthly basis. Should something unfortunate such as the classic case of liquid on your laptop -in my back will repair or replace it within a day. Their literal name speaks to our inmate nature to own, store and collect things — so naturally viewing all your precious things inside your profile feels re-assuringly good.